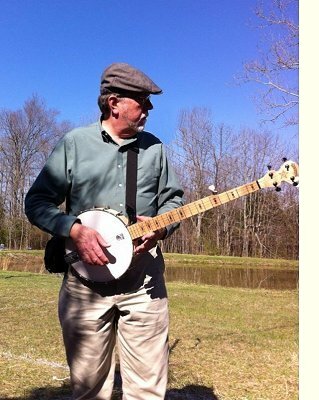 Paul Race loves and plays most kinds of music, but he is especially fond of acoustic-based and traditional styles. If that makes you think of artists like Pete Seeger, Tom Paxton, Jim Croce, and Rich Mullins, you're on the right track. Since the 1960s, Paul has been performing original songs in just about any kind of performance situation you can imagine - coffeehouses, festivals, churches, schools, nightclubs, camps, street fairs - you name it. If you check out Paul's online resources, you'll notice that Paul spends a lot of time these days helping other musicians make good choices and find the resources they need, especially musicians who are interested in acoustic or traditional music. For example the CreekDontRise.com acoustic instrument pages provide a lot of background on various kinds and uses of acoustic instruments. Paul's RiverboatMusic.com buyers' guides attempt to sort out the hype from the facts about acoustic instrument purchases. But Paul also keeps his hand in by continuing to write new songs, learning (and writing about) new instruments, and performing when opportunities arise. BTW, we've gotten some questions about the little album cover thumbnail to the right of Paul's photo above. There's more information about the recordings it represents in our blog "About the song collection 'At the Heart of My Heart Was the Music'"
RiverboatMusic.com - Buyers' guides for acoustic instruments. There’s a person who thinks it’s his job to take me for a sucker born every minute. Does “Make Your Own Kind of Music” Really Work? New Article: Can Christians Sing “Secular” Music? Why Aren’t There More Places to Play?